The poet Kahlil Gibran wrote this regarding love and marriage: “Stand together yet not too near together: For the pillars of the temple stand apart, and the oak tree and the cypress grow not in each others shadow.” These are profound words and a powerful concept, but they’re often hard to remember when we first fall in love. When we initially fall in love, it is very easy to want to isolate ourselves from the rest of the world. During those early moments the entire Universe exists only in our lover’s eyes. We want to make our lover happy and bask in the joy as the efforts are returned to us and we receive the gifts of the heart our lover brings. Ah, blissful love in its purest state! Your detailed relationship reading is waiting. Click here to connect with Psychic Jesse ext. 9027! “Joined independence” is a term I’ve coined to help some of my clients understand that independence does not necessarily mean full detachment from their beloved. Independence within a relationship is important and it’s needed for the foundation and shelter of the relationship to help it stand firm against the adversities that life so often sends our way. Lack of independence is why so many couples fall along the way and healthy independence is why others stand for the duration of their days on earth. The strongest couples have trust as their foundation and they trust one another to be faithful and upstanding as they go about independent pursuits. Independence is a vital attribute in order to have a fully functioning relationship. If you enjoy shopping but s/he does not, denying yourself that pleasure will only end in resentment. For a man, being denied some of their interests due to the fact that their wife/girlfriend doesn’t care for fishing, hunting, etc. is equally destructive. When we meet someone, we should take them as they are at that moment. 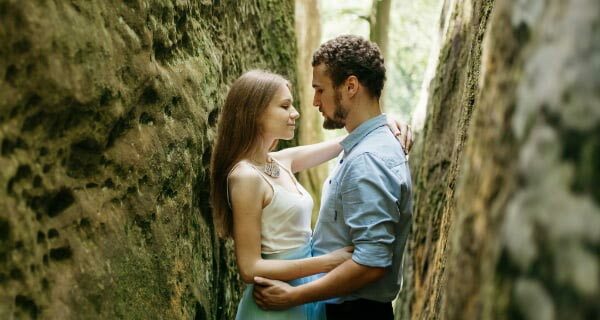 To meet someone and want to change them or think we can “improve” them so they can better fit our idea of the “perfect mate” is not only arrogant, it is insulting to the one you want to love. By the time we reach a reasonable age of maturity, most of us know who we are and have a good idea of what we want in life. It might take a a few years of independent living before we fully flesh out what kind of person with whom we want to share our life, but the basic floor plan exists. When someone comes along and suddenly makes their life impose on our world to such an extent that our world no longer exists, it is time to run for the hills and never look back. If you want to wreck a relationship, nothing works faster than rolling in with your life and expecting someone to change theirs and adapt to yours. Appreciating the differences between you and your beloved, while celebrating the similarities, is what makes a wonderful joining of souls. We all have many lessons to learn from one another. Never think that you have all the answers! Also, never assume someone else has all the answers for your life. There is a much-needed balance in all things. Nothing is as beautiful as the combined notes of a single song. No tune should be monotonous and no life should be either. Embrace the blending and the separateness of your souls and be secure enough in your own beauty of heart to know that your beloved feels the same. If you need clarifying, call me and we will refine the answers that already exist in your heart. This is a great article! So relevant to what I want to share with another – that woman with the undefended heart I spoke to you about a while back. Thanks for sharing your insights! So many couples can benifit from this advice! So true and great article!! Great advice !!!!! I agree 100%…..loved reading this article, it’s keeper for sure !